“Grace and Frankie” will return for season 5. Netflix confirmed the show’s renewal and also announced that RuPaul will join Jane Fonda and Lily Tomlin in the new season. RuPaul will wreck havoc against Grace (Fonda) and Frankie (Tomlin). His character, Benjamin Le Day, is described as formidable and quick-witted. It’s unclear, however, if RuPaul will be in each episode in the new season. The show had Lisa Kudrow as guest star in season 4, which launched on the streaming platform last Jan. 18. The star of “Friends” appeared in a few episodes only but had a significant participation as Grace’s temporary roommate and manicurist. “Grace and Frankie” season 4 ended with a twist that opens a new chapter for the two lead characters. The two women moved into a retirement home after their children sold the beach house they shared together. 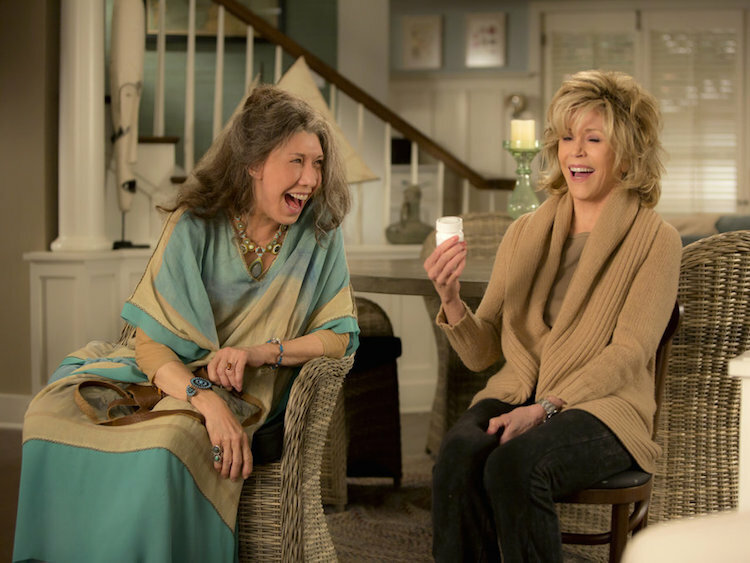 Netflix acquired “Grace and Frankie” in 2015 from creator Kauffman and Howard J. Morris. It brought back Fonda and Tomlin together decades after their popular ’80s movie “9 to 5″ came out in theaters. The show debuted to mixed rebuts in its first year but succeeding seasons received several awards recognitions, including Best Actress in a Comedy at the Emmys and Golden Globes. “Grace and Frankie” also stars Martin Sheen (Robert) and Sam Waterson (Sol) as the women’s husband who ended up marrying each other. The premise of the show is about senior women starting over in their personal life and careers after their husbands tell them they’re gay. Four seasons of “Grace and Frankie” continue to stream on the platform for Netflix subscribers.